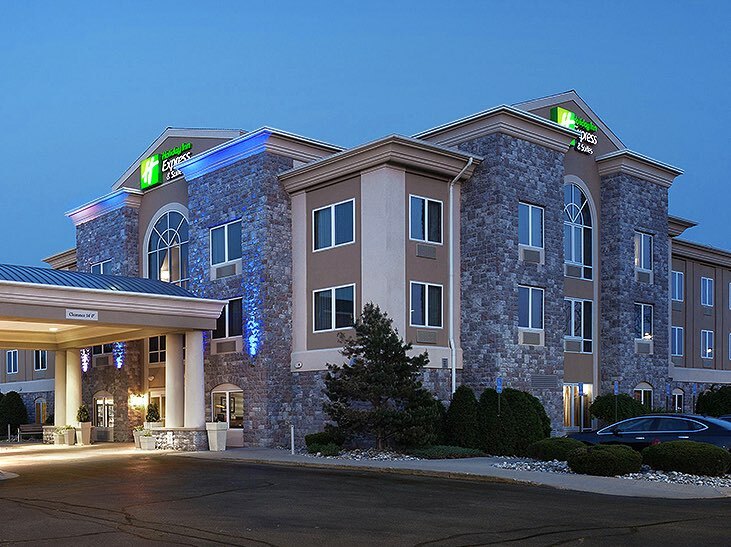 Headquartered in Mount Pleasant, Michigan, the Lodgco portfolio represents many of the most trusted names in hospitality, including Hyatt, Marriott, Holiday Inn, and Hampton Inn & Suites. Currently, the collection includes 15 hotels in Michigan and three in Florida, with several properties coming soon. 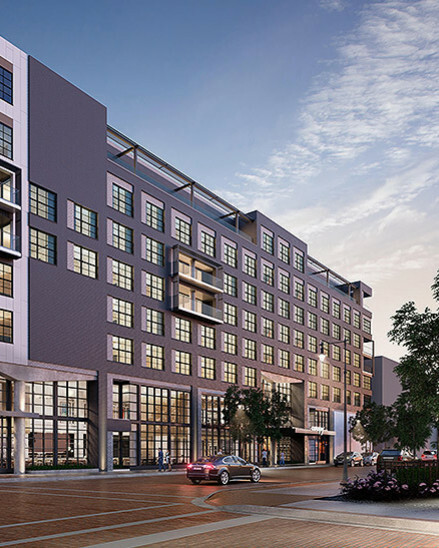 Opening in summer 2020 as the first Canopy by Hilton branded property in Michigan, the new Canopy by Hilton Grand Rapids - Downtown will be located on the vibrant Studio Park piazza. The 155-room hotel will feature a casual bistro and bar, 2,400 square feet of meeting space, and a rooftop bar with skyline views. 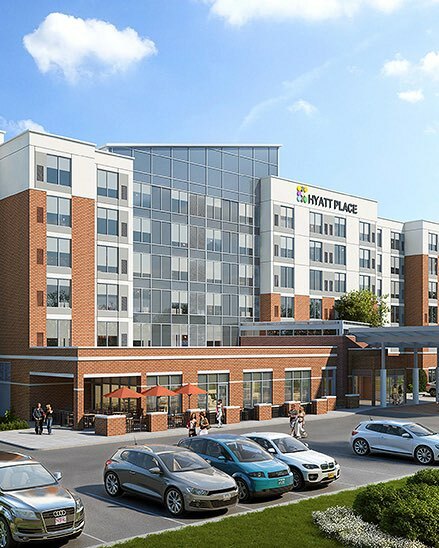 Set to open in summer 2019, the new four-story Hyatt Place Flint will feature 106 guest rooms, an indoor swimming pool, fitness studio, bar and lounge, outdoor patio with fire pit, and guest laundry facilities. In addition, the Mundy Township hotel will have a 1,400-square-foot meeting room and full business center. An all-suite, eco-friendly hotel less than a mile from the white sand beaches of Florida’s Nokomis/Casey Key, the new Home2 Suites by Hilton Nokomis offers modern studio and one-bedroom suites with full kitchens and sofa beds, an outdoor saline pool and hot tub, an outdoor fire pit and gas BBQ grills, and complimentary Inspired Table™ breakfast. 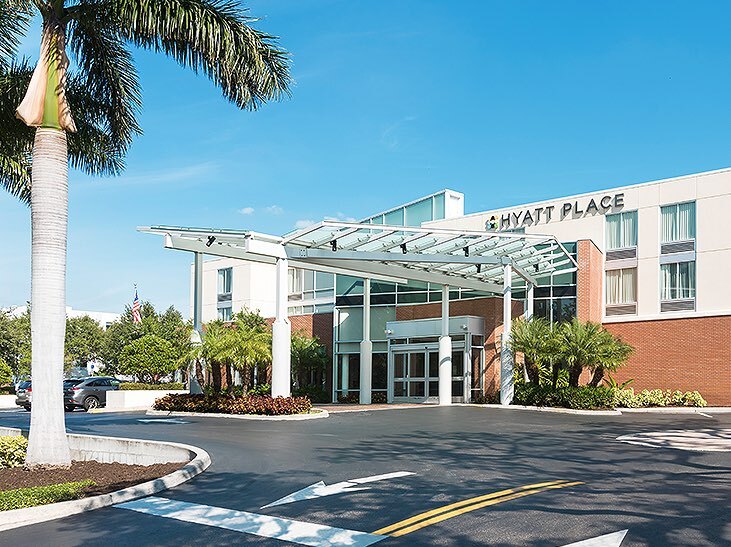 Located in Sarasota’s Lakewood Ranch, this new Hyatt place hotel features 122 contemporary guest rooms, an outdoor pool, 24-hour StayFit Gym and Gallery Market, 900 square feet of meeting space, complimentary Gallery Kitchen Breakfast, and a Coffee to Beer & Wine Bar. 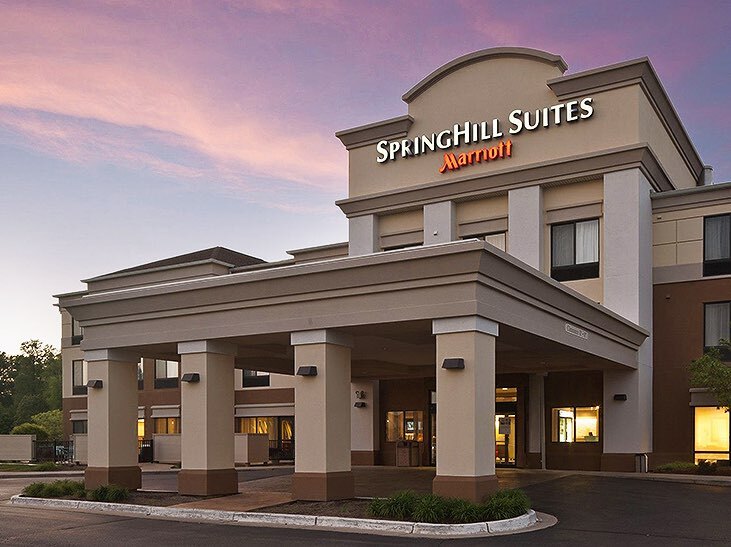 Located behind the Midland Mall and minutes from downtown, the SpringHill Suites Midland features 96 stylish suites with well-defined spaces for sleeping, entertaining or working. Highlights include two meeting rooms, fitness center, onsite lounge with full bar, and complimentary breakfast buffet. 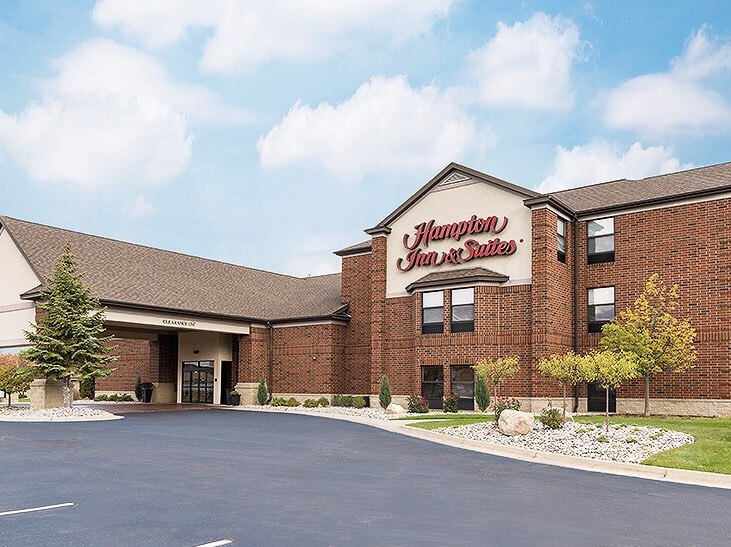 Tucked in the center of Eastman's shopping and restaurant district, this hotel has 87 newly renovated guest rooms and suites, a meeting room for up to 24 guests, 24-hour fitness center, and indoor pool and jacuzzi. Guests enjoy free shuttle service to MBS International Airport and daily hot breakfast. With a stay at Residence Inn Midland Marriott in Midland, you'll be within a 5-minute drive of Midland Mall and Midland City Forest Park. 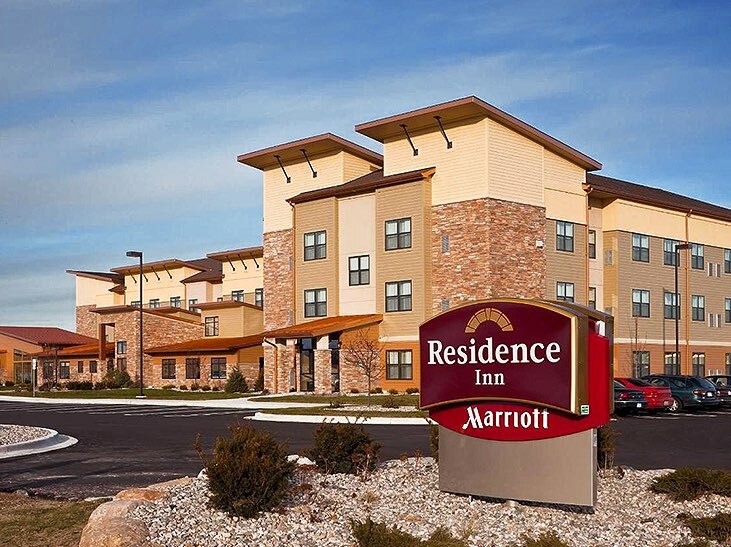 This hotel is 2.8 mi (4.6 km) from Barstow Woods Park and 3 mi (4.8 km) from Plymouth Park Fun Zone. 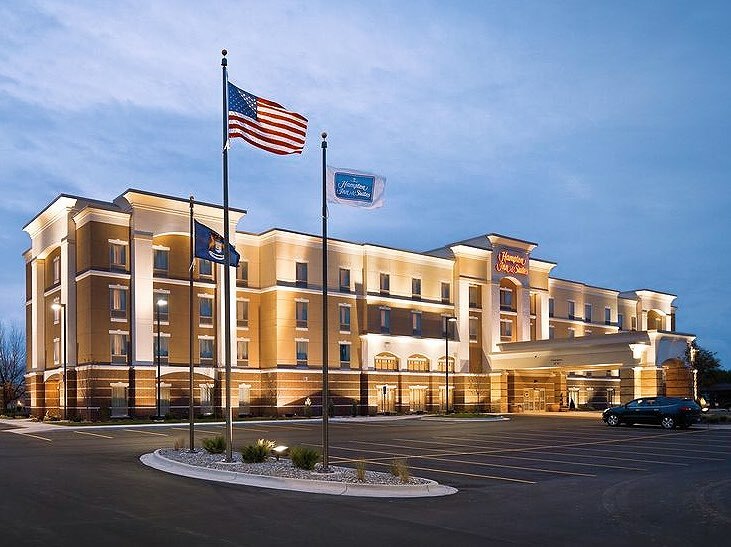 Located five miles from downtown Saginaw near Bay City, this hotel off I-675 features 98 guest rooms and suites, 1,000 square feet of meeting space, a 24-hour business center, 24-hour fitness center with sauna, heated indoor pool and whirlpool, and complimentary hot breakfast bar. 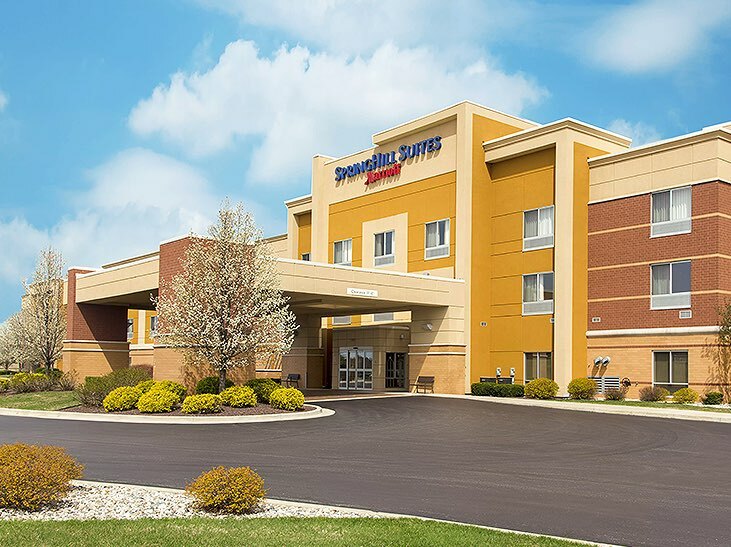 SpringHill Suites Lansing features 102 newly renovated suites, four meeting rooms offering a combined 2,558 square feet of space, a relaxing indoor pool, fitness center, 24-hour Market stocked with snacks and necessities, as well as a complimentary hot buffet breakfast daily. 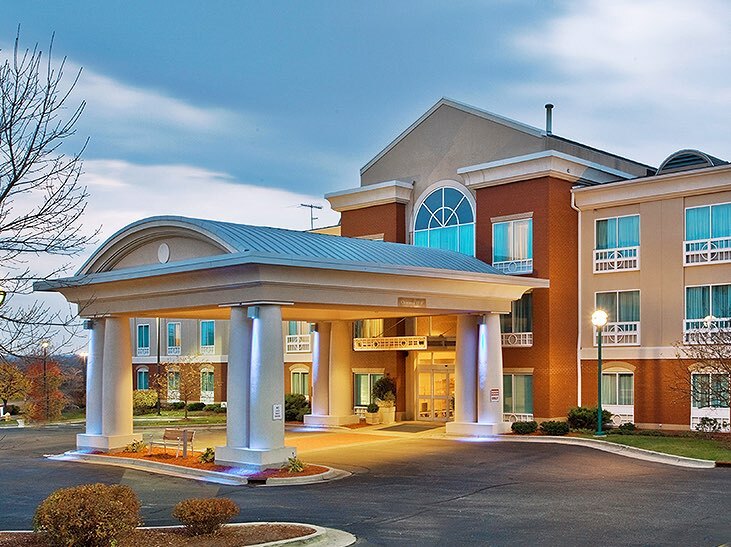 Conveniently located near downtown Lansing and five miles from Michigan State University, this 100-room hotel offers flexible meeting and event space for up to 120 guests, a business center, 24-hour fitness center, swimming pool, and complimentary hot breakfast daily. 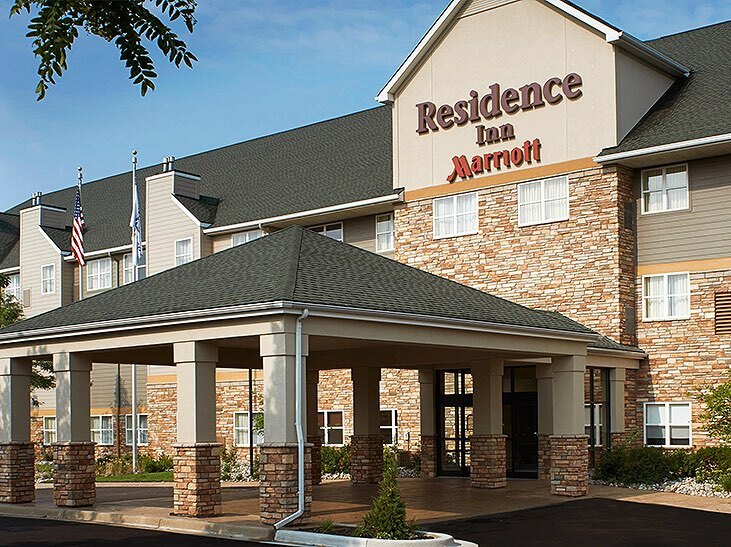 Offering easy access to the DeVos Place Convention Center, Gerald R. Ford Presidential Museum, and Grand Rapids Airport, this recently renovated hotel in Walker Township has 94 guest rooms and suites, a 24-hour business center, an indoor pool and spa, and complimentary hot breakfast. 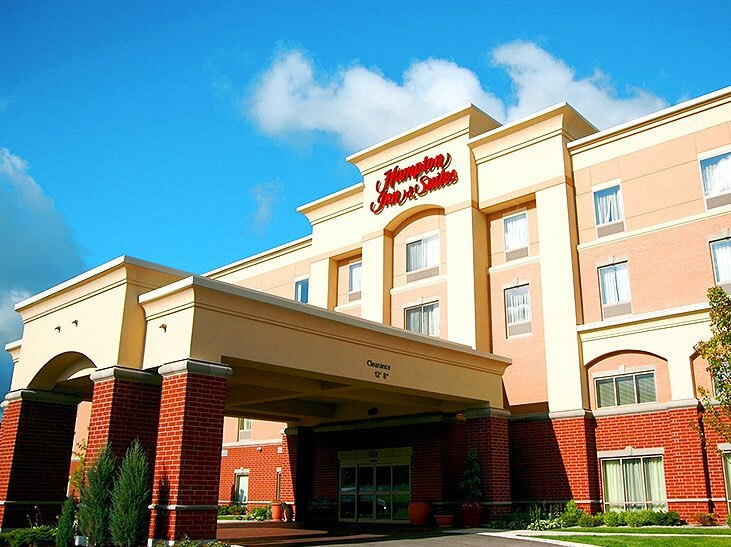 Ideal for business and leisure, Hampton Inn & Suites Saginaw has 96 guest rooms and suites, three flexible meeting spaces accommodating up to 90 guests, a business center, and free hot breakfast. Nearby landmarks include Fashion Square Mall, Saginaw Valley State University, and the Dow Events Center. 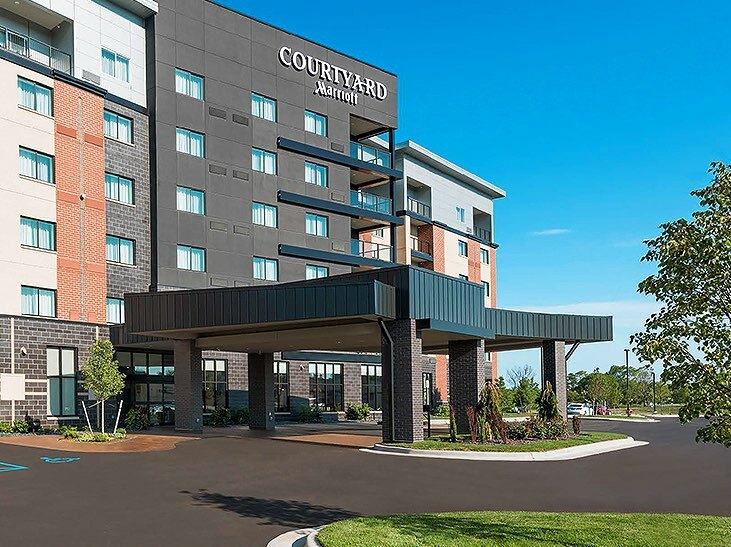 Completely renovated in 2016, the Courtyard by Marriott Traverse City is located across from the Grand Traverse Mall just south of downtown. This 83-room hotel features a on-site Bistro and Bistro Bar, fitness center, 24-hour Market, and indoor swimming pool and whirlpool. 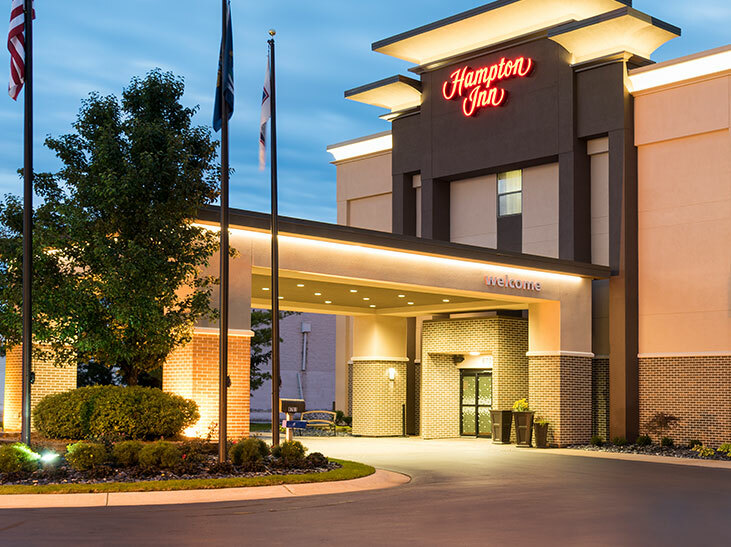 Gaming and golf are just two diversions within an easy drive of the Hampton Inn Mount Pleasant. This contemporary, 89-room hotel features 216 square feet of meeting space, an indoor pool and spa, 24-hour fitness center, business center, and free hot breakfast. The closest hotel to Bishop International Airport, the Hampton Inn & Suites features 100 modern guest rooms and suites, a fully-equipped meeting room spanning more than 2,000 square feet, an indoor pool, fitness center, 24-hour business center, and complimentary services and amenities, including an airport shuttle and daily hot breakfast. 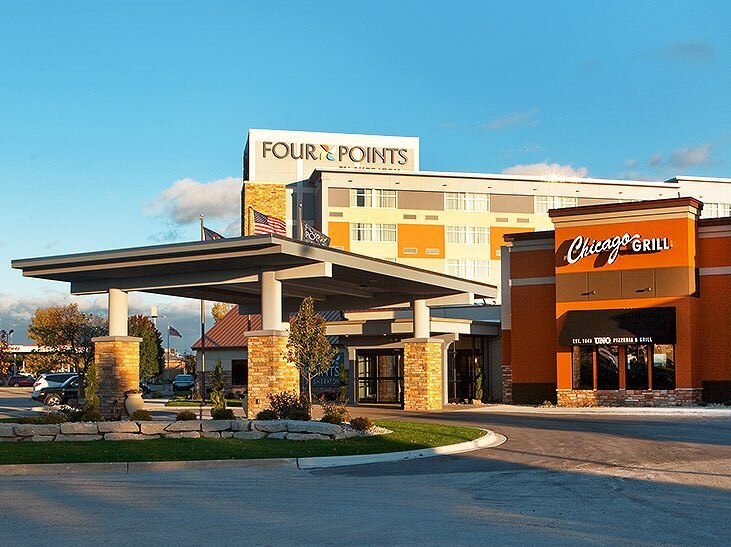 Offering 140 guest rooms and suites within walking distance of the shopping, dining and entertainment options of Fashion Square Mall, the Four Points by Sheraton features an indoor/outdoor swimming pool, fitness center, business center, and new Uno Pizzeria & Grill. 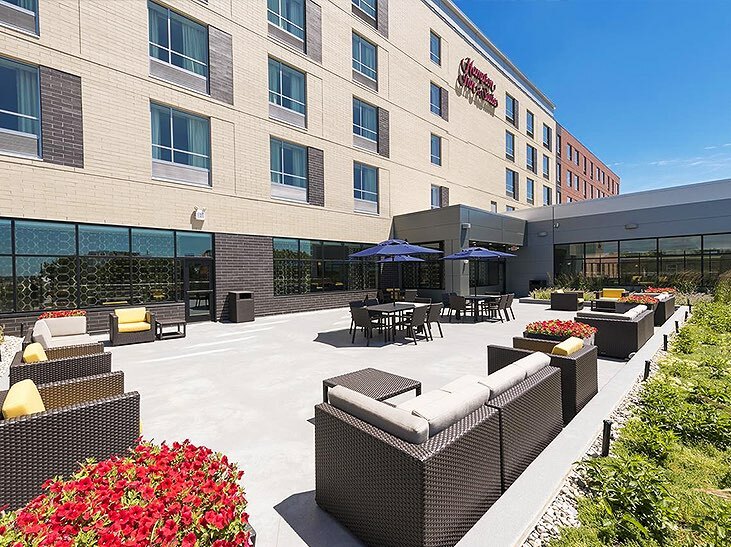 Ideal for short and extended stays, the Residence Inn Ann Arbor North is located near the University of Michigan North campus and minutes from University of Michigan Hospital and Motts Children's Hospital. Highlights of this pet-friendly hotel include 86 studios and one- and two-bedroom suites with full kitchens, a 520-square-foot meeting room, and free hot breakfast. 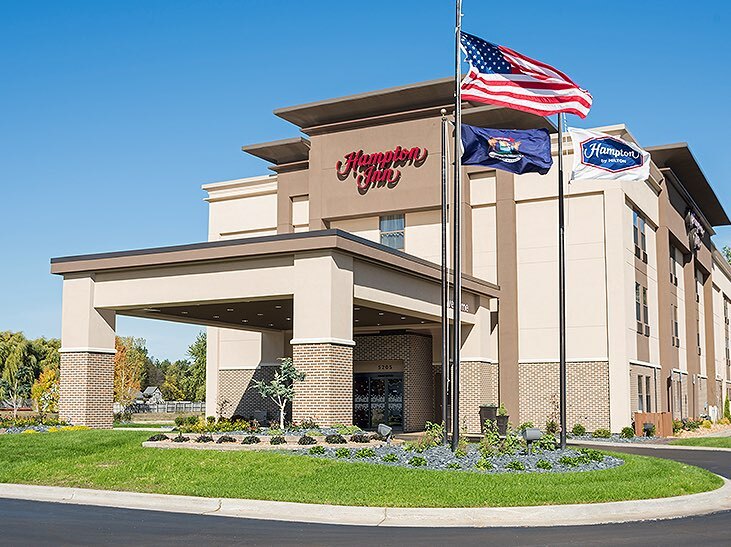 A 142-room hotel along Medical Mile, the Hampton Inn & Suites is an ideal Grand Rapids home base less than a mile from downtown. Services and amenities include 1,500 square feet of meeting space, an indoor heated pool and hot tub, seasonal outdoor terrace, 24-hour market, and free hot breakfast. 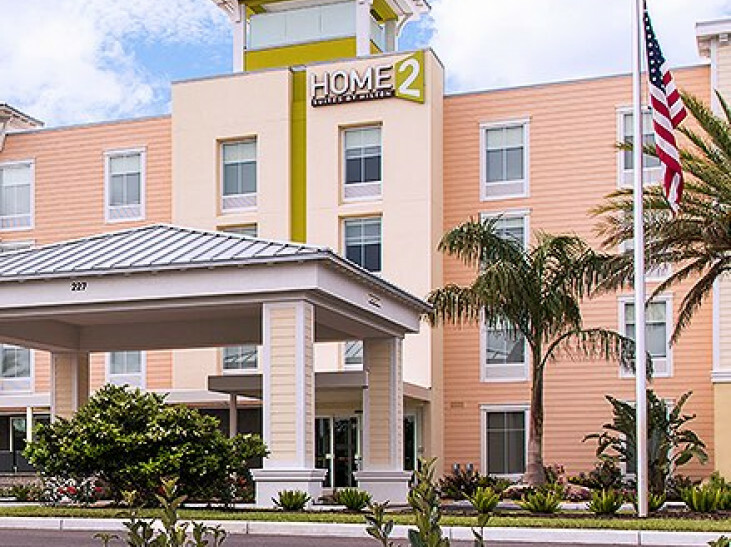 Located directly adjacent to Sarasota-Bradenton International Airport, this North Sarasota hotel has 114 guest rooms, a 24-hour market, signature Coffee to Cocktails Bar, 24-hour fitness center, and outdoor pool. Guests enjoy free shuttle service within a 3-mile radius and free hot breakfast daily. 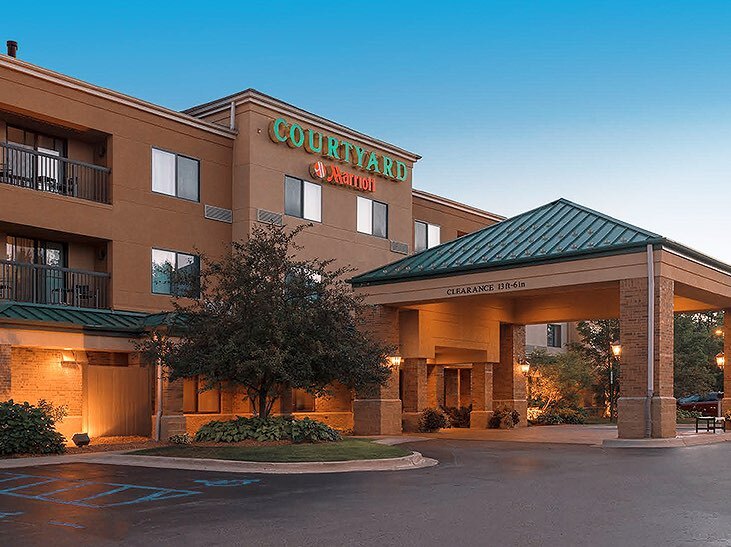 Conveniently located on the campus of Central Michigan University, this Courtyard property overlooking Kelly/Shorts Stadium features 148 guest rooms and nine suites. Highlights include six meeting rooms spanning a combined 6,200 square feet space, a fitness center, business center, indoor pool and whirlpool, and on-site Bistro.